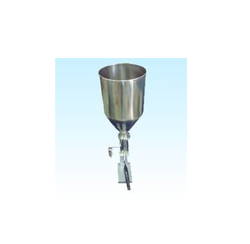 Backed by rich industry experience, we are presenting vast variety of Filling Machines. 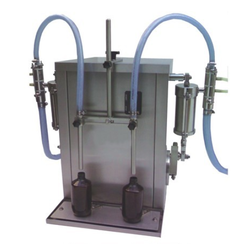 The products offered in this range are Volumetric Filling Machine, Hand Operated Paste/Liquid Filling Machine, Foot Operated Paste/Liquid Filling Machine, Motorized Paste/Liquid Filling Machine and Pneumatic Operated Paste/Liquid Filling Machine. These machines are manufactured by our experts using fine quality raw material, which is sourced from the trustworthy vendors of the market. Cream/ Paste Filling Machine offered comes with filling heads and 2 cylinders. Leveraging on our expansive distribution network, we are able to offer our clients a wide range of Motorised Liquid Filling Machine. 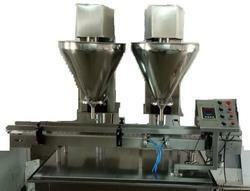 These machines are widely used for packaging and filling bottles or pouches. The entire range is demanded by our clients for their features like low maintenance, excellent efficiency, durable and user-friendly operation. Innovation is our forte and we strive to design and develop a precision-engineered range of Double Head filling machine. 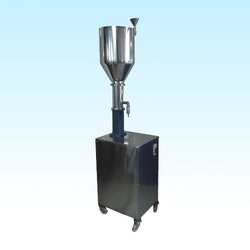 To ensure easy operation, the capping of these machines is extremely flexible, sturdy and easy to take away. These machines are appreciated in the market for their attributes such as fine finish, low maintenance and high tensile strength. Further, we make sure to deliver the entire consignments to clients doorsteps within the desired time-frame. Innovation is our forte and we strive to design and develop a precision-engineered range of Volumetric Filling Machines. To ensure easy operation, the capping of these machines is extremely flexible, sturdy and easy to take away. These machines are appreciated in the market for their attributes such as fine finish, low maintenance and high tensile strength. Further, we make sure to deliver the entire consignments to clients doorsteps within the desired time-frame.